Give mom daisies for Mother's Day with a Marc Jacobs Daisy and Daisy Dream Fragrance Gift Set! I don't know about you but I always need a new fragrance to add to my collection and let me tell you, Marc Jacobs Daisy and Daisy Dream fragrances smell amazing! I also love how long they tend to last as I can still smell them when the day is over. Both fragrances are very feminine fragrances that seem to attract a lot of attention. I was stopped a few times and asked what perfume I was wearing because other women loved the way they smelled. It happened both with Daisy and Daisy Dream multiple times. My husband also loves them both but his favorite is Marc Jacobs Daisy Dream Fragrance. I'm torn and haven't been able to choose a favorite as they both smell incredibly amazing! 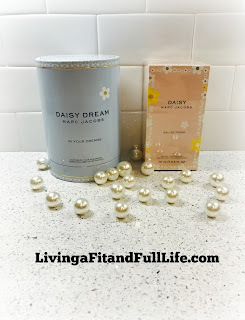 Marc Jacobs Daisy and Daisy Dream Fragrance Gift Sets are incredibly beautiful, smell amazing and would make terrific gifts this Mother's Day!